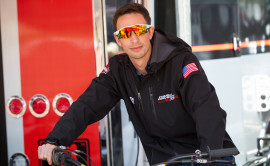 Brandon Robinson won the AMA Twins Expert championship in 2008, but his breakout season didn’t come until 2013. 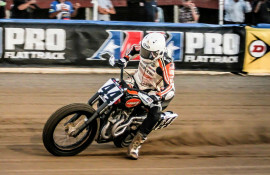 In the 2013 season he had three victories and seven top-five finishes, with his best performance coming when he swept both Springfield Mile races in one season. 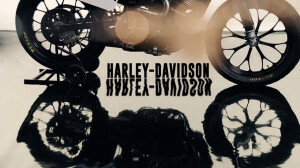 He competed in the 2016 X Games, taking 6th place in the Flat Track event. 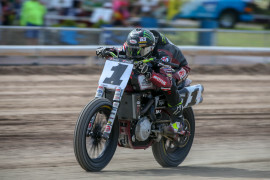 Riding the Harley Davidson Motor Company Harley-Davidson XG750R for the 2018 American Flat Track season, Robinson’s had five top-10 finishes so far this year, with his best finish coming at the Texas Half-Mile where he battled hard to come in 4th place. 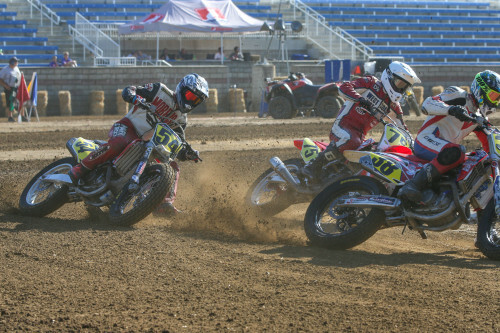 2017 Brandon Robinson finished the 2017 American Flat Track season 7th in the standings and had 10 top-10 finishes. 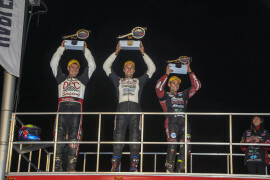 Finished third in the GNC1 points wtih three podiums including a win at the Lima Half-Mile. Also finished sixth at the X Games. Raced for Kennedy Racing/Harley-Davidson. 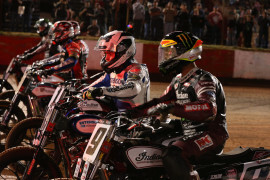 With two second place finishes in the main events at Daytona and Sacramento, Robinson secured sixth place in the GNC1 class with 136 points. Raced for TJ Burnett Farms and Latus Motors Racing. 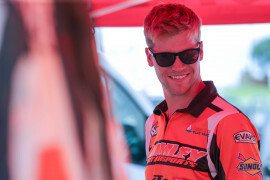 2014 Robinson showed he could again run with the best in the GNC1 class, finishing on the podium twice and reaching all but one main event on the season. He finished in the top five on five occasions and had four additional top 10s. 2013 Robinson’s breakout year consisted of three victories and seven top fives, as he came in third in the overall GNC final point standings. 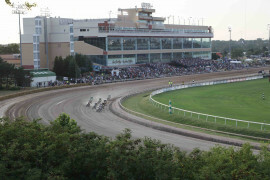 Best performance came when he swept both Springfield Miles while racing for T.J. Burnett Farms Racing. 2012 Finished 11th in the overall point standings. His season best 2nd place finish at Indy kicked off an impressive stretch of four consecutive top 10 finishes. 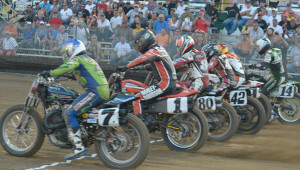 2010 Robinson earned seven main event finishes with a best finish of seventh-place at the Gas City, Indiana Short Track. Raced with Action Motorsports/Lancaster Harley-Davidson race team. 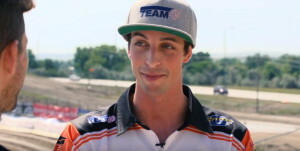 2009 Robinson had an impressive season with seven main event finishes although he was injured at Indianapolis and out the remainder of the season. His best finish was tenth-place at Bulls Gap and was a contender for rookie of the year. 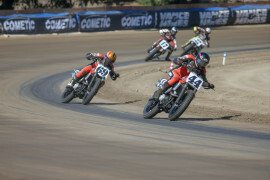 Raced with Action Motosports/Lancaster Harley Davidson race team. 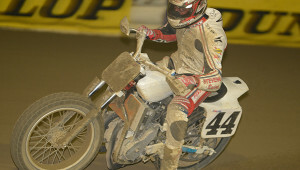 2008 Robinson won the AMA?Twins Expert championship with five wins and six other Top5 finishes. 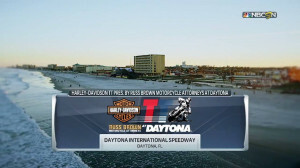 Robinson earned a Top10 finish in AMA Grand National Singles Championship at Daytona Beach,?FL March 5th. Raced in AMA 750/1000 National Hot Shoe Series with two fourth-place finishes at Barberville, FL March 2nd and Frederick, MD. 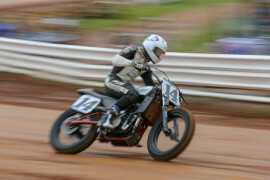 Raced in AMA?450 National Hot Shoe Series with a podium position at Frederick, MD. Raced with Action Motorsports Honda race team.